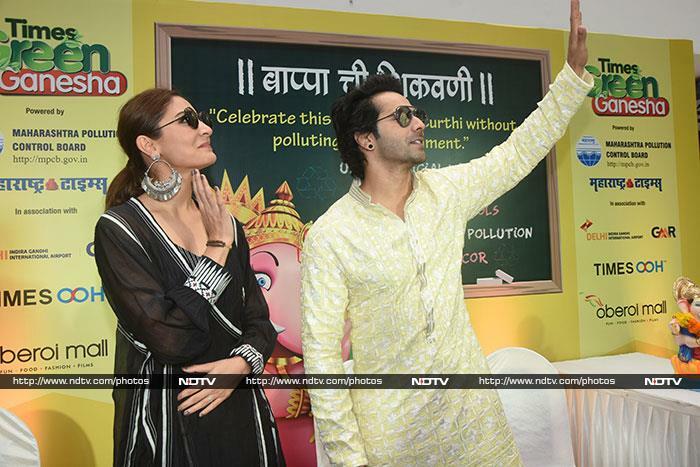 Anushka Sharma and Varun Dhawan promoted their upcoming film Sui Dhaaga during pre-Ganesh Chaturthi celebration in a mall in Mumbai. 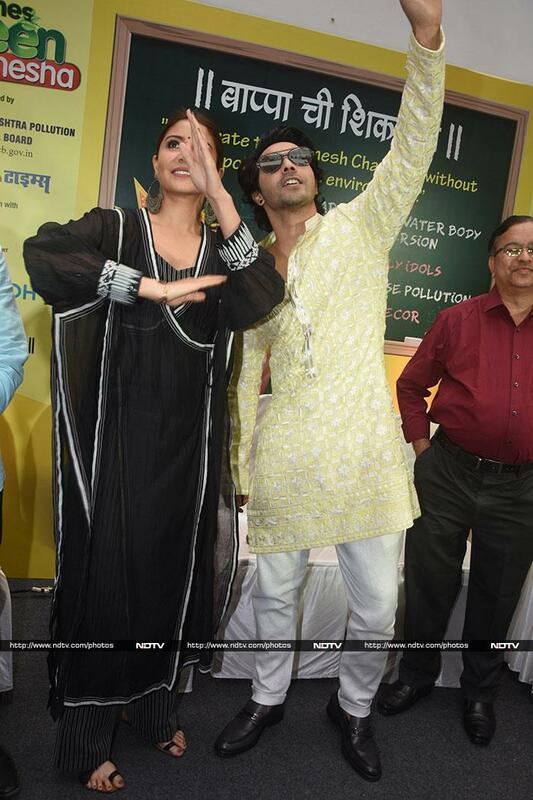 Both Anushka and Varun were dressed in traditional outfits. 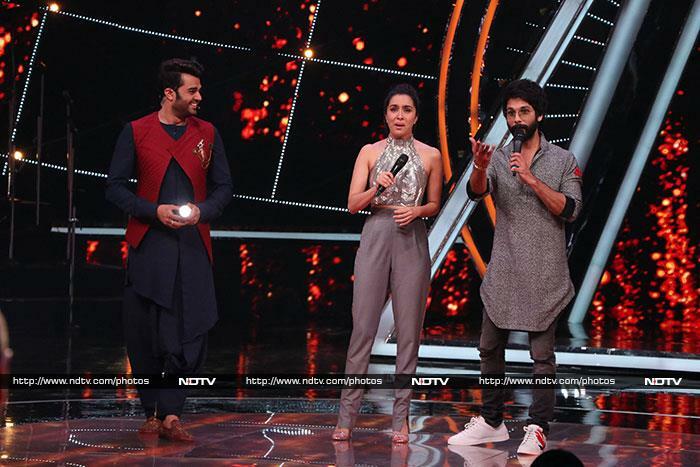 Meanwhile, Shraddha Kapoor and Shahid Kapoor promoted their upcoming film Batti Gul Meter Chalu on the sets of a television reality show. Shraddha and Shahid were photographed with show's host Manish Paul. In another part of the city, Loveratri actors Aayush Sharma and Warina Hussain were spotted promoting their film at Mumbai's Mehboob studios. Aayush and Warina posed for the shutterbugs.